We’ve never been parents that crammed a million things into summer break. Quite honestly the school year is busy enough and we are all craving the break during June and July. Sure we might go swimming, take a short vacation, and for a while they all attended a week of Bible camp, but summer “break” is called a break or vacation for a reason! One of the most relaxing things about summer are the lazy afternoons and evenings that have allowed us to slow down. I suppose I will have to adjust to this year round with the children all grown (wow that seems odd to say), but there is something very enjoyable about taking time to cook supper each night. No deadlines, no running in from practices, no where to be; it’s a wife and mom’s dream! Yesterday morning I planned to prepare a pork tenderloin for our evening meal. Most of the day was spent wondering how to prepare it. There was the grilling option, but a ferocious band of thunderstorms was headed our way and fighting to keep charcoal lit around rain was not my idea of fun. The crockpot option is always a good one, but when you’re carefully eating only at mealtimes, smelling supper cook all day makes one want to eat all day. There are at least a thousand ways to roast a tenderloin, but my tastebuds were screaming for something seasonal and unique. 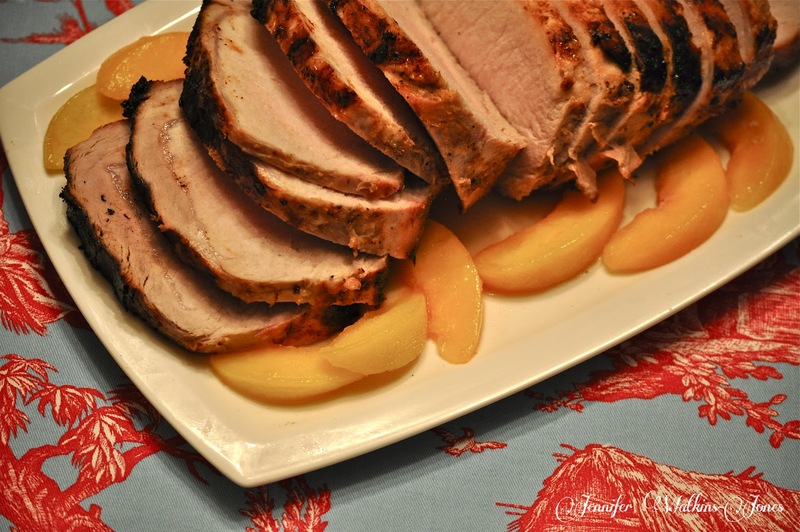 This particular pork tenderloin was purchased locally and not in the grocery store, so after looking through the refrigerator I found just the flavors needed! Taking fresh cherries, yummy Georgia Vidalia onions, fresh garlic and balsamic vinegar I went to work preparing supper. Searing the tenderloin in olive oil after tucking a few fresh cloves of garlic inside, it went straight from the stovetop to the oven thanks to using a cast iron skillet. With the tenderloin being long and thin, it doesn’t take long to cook. Dry pork is horrible, so pay attention when cooking it. Internal temperature should be around 145° and then allow to rest a few minutes. Once the pork was cooked and removed from the pan, the pan and juices went on the stove top on medium heat. I added an entire sliced onion, cherries that had been pitted and a little fresh rosemary from the back porch. After a few minutes of sautéing the two together to soften balsamic vinegar was added to the mix. Stirring often, this mixture was allowed to reduce and thicken for a sweet and textured sauce for the pork tenderloin. 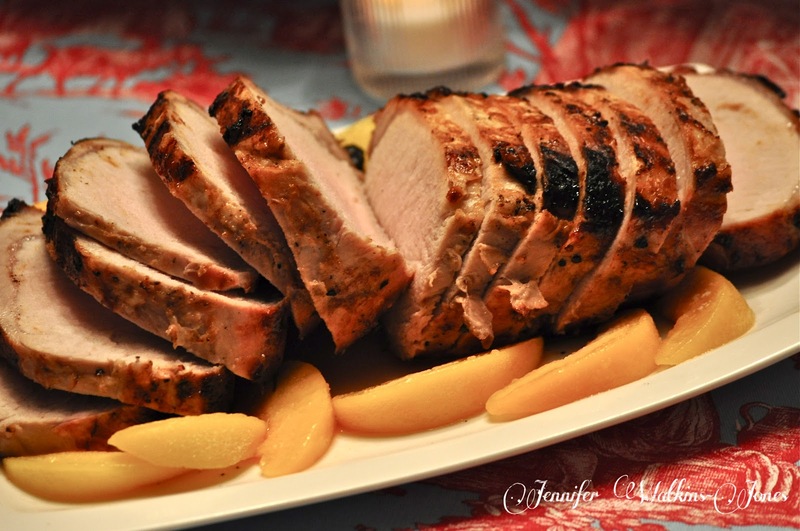 Click Balsamic Cherry Pork Tenderloin to print off the full and very easy recipe. Serve with fresh green beans and a salad for a completely seasonal supper everyone will enjoy! Tell me dear readers, what do you enjoy most about these summer days? It’s just eight days before Christmas. The halls are decked (well the best they are going to be this year); travel plans to see family are in place; wrestling season is in full-swing, frantic, last-minute shoppers are descending upon Macy’s (pushing me into week number two of overtime), we’ve had our visit with Santa, and I’m finalizing our menu for a lovely Sunday afternoon Christmas with special friends. Yes, my teenagers still visit Santa Claus each year. My absolute favorite part of celebrating the holiday season is sharing this special time of year with friends, especially those who live a good distance from family as we do. Each year since moving to South Carolina we host a cookie baking and decorating party. This year it happens to fall on a Sunday which does shorten our day, but will not deter us from having a fabulous time! As we are planning for Sunday I wanted something super flavorful and easy for lunch since we will be working around regular worship Sunday morning and a special Christmas service that night. My choice? Grilled pork tenderloin (with an option to make into sandwiches using Kings Hawaiian Sweet rolls) topped with homemade cranberry sauce. Seasonal, flavorful and easy to make a head of time, this will be a perfect treat for Sunday lunch. I love this for two reasons: one, hubby can man the grill which takes care of the tenderloin, and two, it really is easy. 1. For the tenderloin: heat 2 tablespoons of olive oil (I use California Olive brand) a large pan or dutch oven on medium-high heat. Season your tenderloin with black pepper and pink Himalayan salt and place in the pan, searing each side five minutes to lock in your juices. 2. Preheat your grill to 400°. Take the seared tenderloin and place on the grill. Grill, turning once, until internal temperature reaches 160°. Place on a platter or large cutting board to rest for a few minutes before slicing. Use an electric knife to aid in slicing the tenderloin thinly, especially if you will serve rolls with it for sandwiches. 3. Making the cranberry sauce is as easy as it gets! Squeeze the juice from your large orange. Take all of your ingredients and combine in a medium saucepan. All the ingredients added and ready to simmer. Bring to a boil on medium-high heat, stirring occasionally to keep from sticking. I prefer tart over sweet, so taste for sweetness. If you feel you want it sweeter, add Splenda brown sugar blend 1 tablespoon at a time until you reach the desired sweet flavor you want. Reduce heat and simmer about 20 minutes (stirring occasionally) until the sauce has thickened up. If you hear a little pooping, don’t worry, it’s just the cranberries! 4. Remove the cranberry sauce from heat and allow to cool to room temperature. You can serve the cranberry sauce over the pork tenderloin or on the side to use as a condiment on little sandwiches (which is my plan for Sunday). The sliced tenderloin glazed with the cranberry sauce makes such a pretty main course for any holiday buffet, and the homemade cranberry sauce will be a hit with all of your guests! What holiday celebration (outside of family Christmas) do you enjoy most? I would love to hear your traditions! Linking up with Rattlebridge Farm for Foodie Friday this week! Check out all of the fabulousness! One of the sweetest and most elegant exhibitions of gracious Southern living at it’s finest is exemplified each May in the Kentucky Derby. For 17 years now, Audley and I have spent the first Saturday in May caught up in the tradition and beauty of this amazing race. 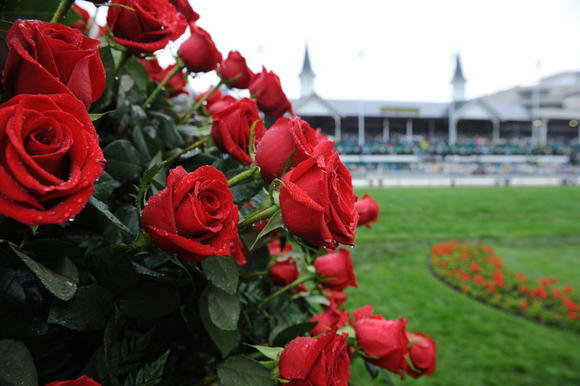 From hats to horses, everything surrounding this fabulous race is a true taste of the South. Horse racing in general is a real passion of ours and I look forward to the day when we can slip away to attend in person. Until then we will settle for our own weekend celebration at home. This year is the 138th running of the Kentucky Derby, so I wanted to mix up a little tradition with my own modern twist for our Derby fare. 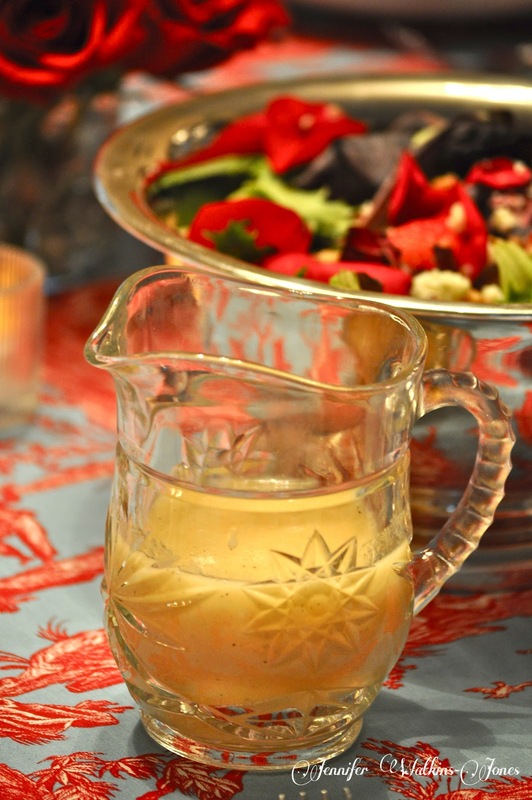 The Kentucky Derby is a colorful affair, so it felt only natural to set a colorful table. 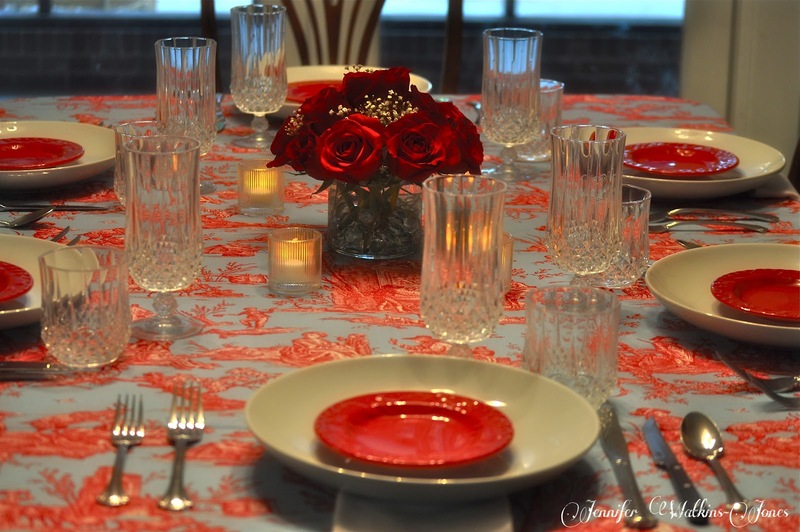 I love this aqua and red toile tablecloth. Not only does it make me feel happy, it also shows off bright color associated with the Derby. I used basic white plates with red bread & butter plates, simple crystal goblets, and finished off the settings with white napkins. Food is to be served in my silver pieces. 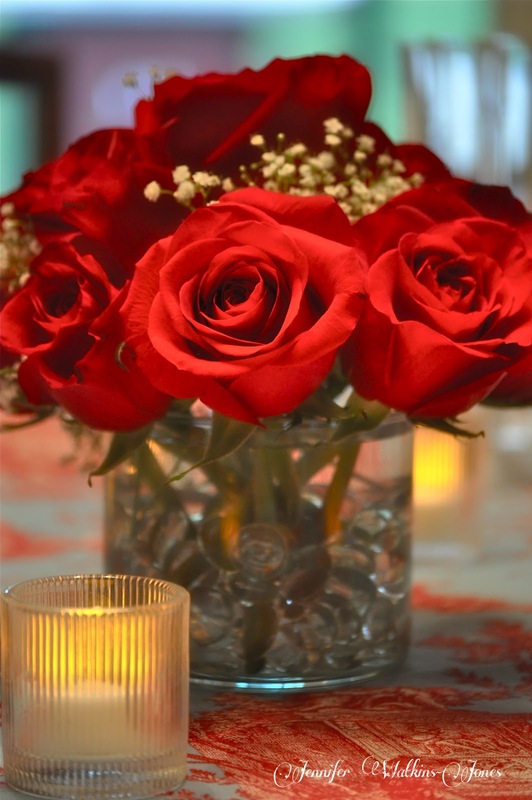 Since this is the “Run for the Roses”, I used fresh red roses in vases for accents. When it came to making my menu for our Derby fare, I chose items that are fresh and currently in-season at the market, like asparagus, baby greens, strawberries, herbs from our garden and naturally the eggs since they were just laid over the weekend while I was at my parents house. Rinse and pat dry the tenderloin. Combine soy sauce and next eight ingredients plus 1 cup of melted peach jam (reserving the rest for grilling… you will have to reheat) in a large shallow dish; cover, and chill at least 10-12 hours. Remove pork from marinade, discarding marinade. Sprinkle evenly with salt. Grill, covered with grill lid, over high heat (400° to 500°) 30 minutes or until a meat thermometer inserted into thickest portion registers 155°, turning occasionally & brushing with remainder of peach jam. Remove from heat; cover with aluminum foil, and let stand 10 minutes or until thermometer registers 160°. 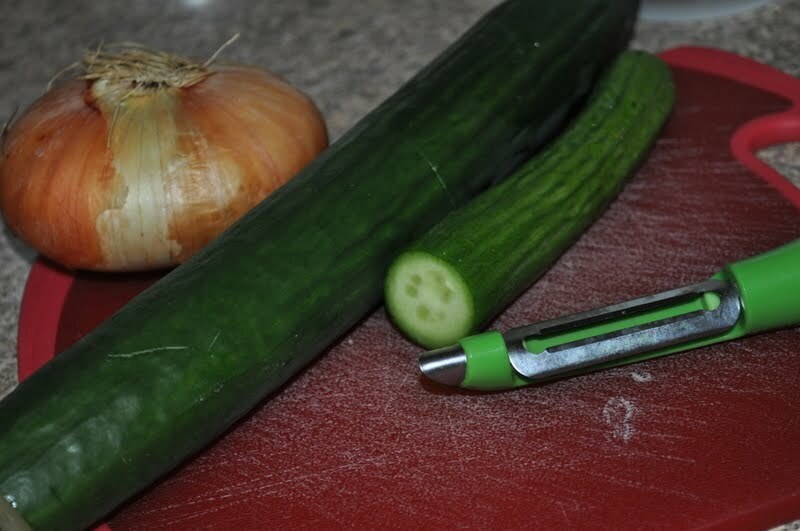 Garnish, if desired with fresh peach slices, Rosemary or Basil. 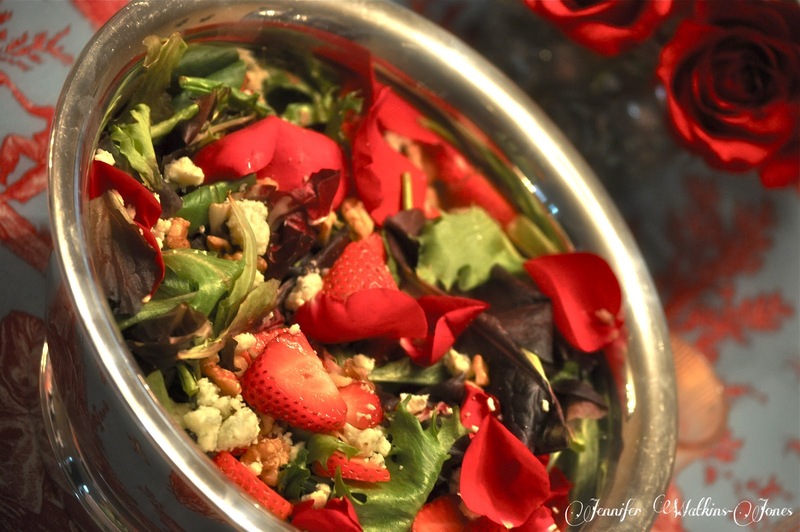 Arrange fresh greens, rose petals and strawberries in serving dish. Top with walnuts and gorgonzola cheese. 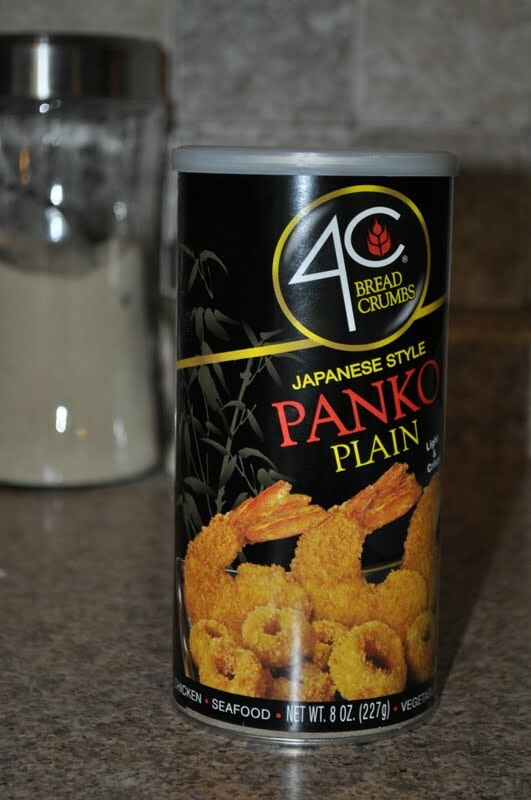 Mix first five ingredients together well, then slowly drizzle the oil in, whisking well as you work it. Preheat the oven to 425 and grease a baking sheet for use. In a large bowl, stir together the 2 cups flour, the baking powder, salt, cheese and fresh herbs. Using a pastry blender or the paddle on a Kitchen Aid mixer, cut in the butter until the mixture forms coarse crumbs about the size of peas. Add the milk to the dry ingredients and, using a rubber spatula, stir just until evenly moistened. 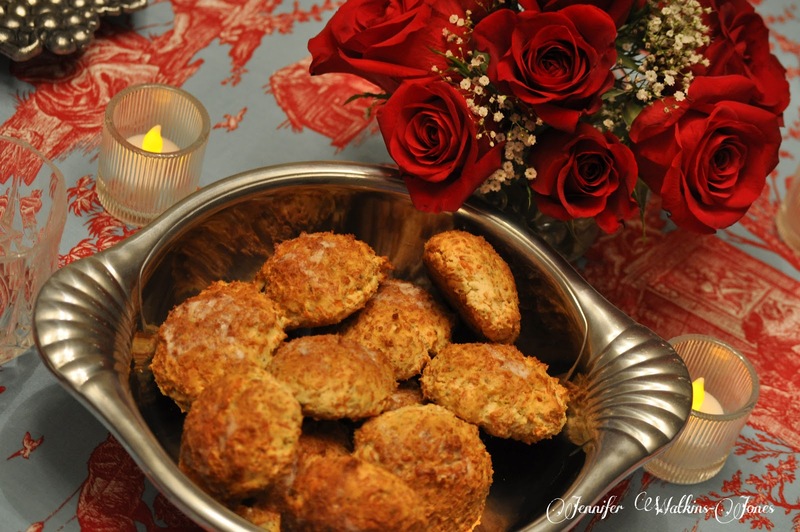 Using your hands, dusted in flour, shape biscuits and drop them onto your baking pan. Bake until the biscuits are golden brown, 15 to 18 minutes. Transfer to a wire rack and let cool slightly, then serve. Makes 12-15 biscuits. It’s not too late the be thinking of ideas for a Derby party this weekend! Linking up with Foodie Friday. Race on over and see what else is cooking this weekend! If you are interested, you can still enter my Lodge cast iron giveaway here. I’ll be picking a winner Saturday night! It doesn’t take long for the days to slip by, especially when they are so busy! 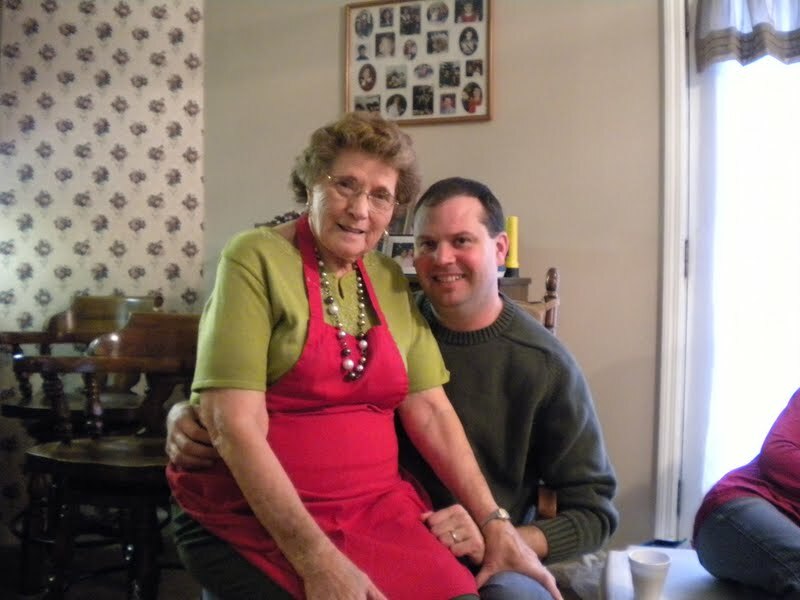 Audley’s precious Granny is improving and in a rehab facility. This independent 82-year old is having a difficult time with everything, but she should have a full recovery! The kids and I have helped with their great-grandfather; spending time and cooking a little. While crisis’ are difficult to deal with, I do love the sense of family they build as Audley’s family has grown so much closer over the last three weeks. Preparing meals has been a challenge as we stay on the go, but it has also gotten me concerned about how I eat and what I am teaching my kids. I am having a serious change in eating attitude as I have let bad habits rule me for much too long now. 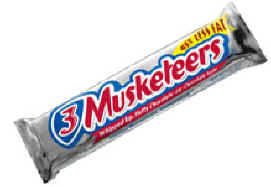 A diet coke and 3 musketeers candy bar is not a healthy breakfast, even when you slept on a chair in the hospital all night long! With a family health history that is worrisome, a birthday two weeks ago that put me one year away from 40, and the fact that I am going to be the mother-of-the-bride in the next year, I have decided to become fit and fabulous. No frumpy momma here. When I hit the big 4 – 0 next May, I am going to do in in style, not in a mu-mu (I don’t really wear one, yet. haha). I am not going on a diet and depriving myself, I am simply making better choices for me and the family, as well as adding exercise to my week. First up on my agenda, lightening up our meals at home. In stereotypical style, Southerners love their fried foods: fried pickles, fried chicken, fried eggs, fried pork chops, fried shrimp, fried bacon, fried Oreos, French fries, ….. it just keeps on going and EVERY bit of it is delicious! The best part of eating fried foods is the crunch when you bite into it. While shopping at Greenlife Grocery a couple of weeks ago, I picked up the most wonderful looking Iowa pork chops. With very little fat to trim, these looked really good! 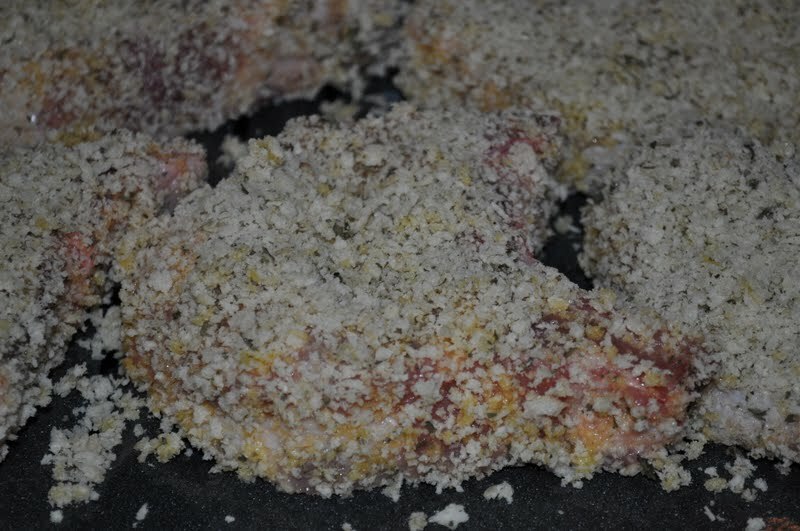 Instead of dipping them in egg and buttermilk and battering them up to fry, I dipped them in lightly beaten egg whites, and dredged them in Panko (Japanese bread crumbs), sprinkled with a little sea salt and black pepper. I then placed my chops on a broiler pan, so that any grease would drip away from my chops, and baked at 400 degrees until the juices run clear; about 30 minutes. 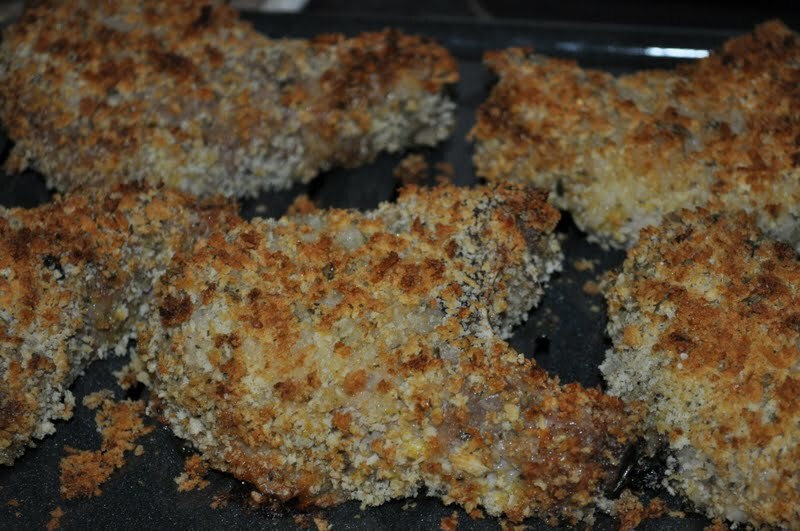 Golden brown chops make the highlight of dinner and the trademark “crunch” that accompanies fried foods? It is there, and possibly tastes better! To accompany our meal? I served up fresh green beans, deviled eggs, marinated cucumbers with onions and a whole wheat roll. No fried pickles here (and oh how I adore them!). 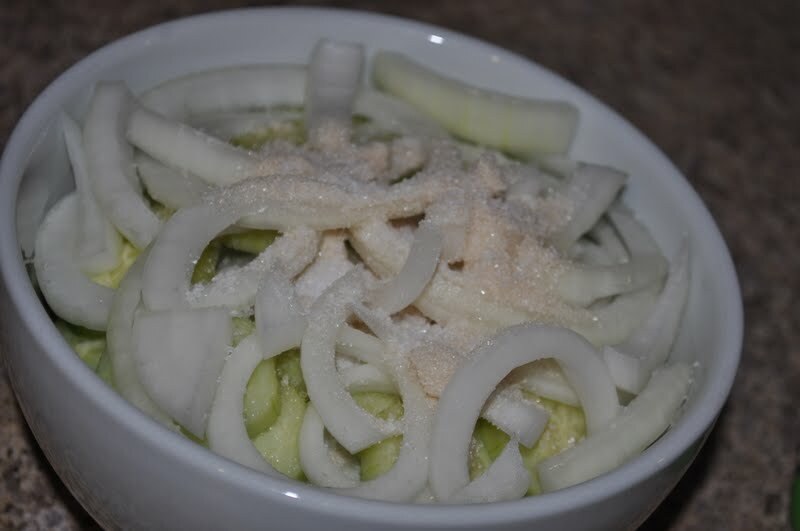 I took a large English cucumber, peeled and sliced it, sliced Vidalia onion ring and then marinated them in rice vinegar and 1 tablespoon of sugar for an hour. 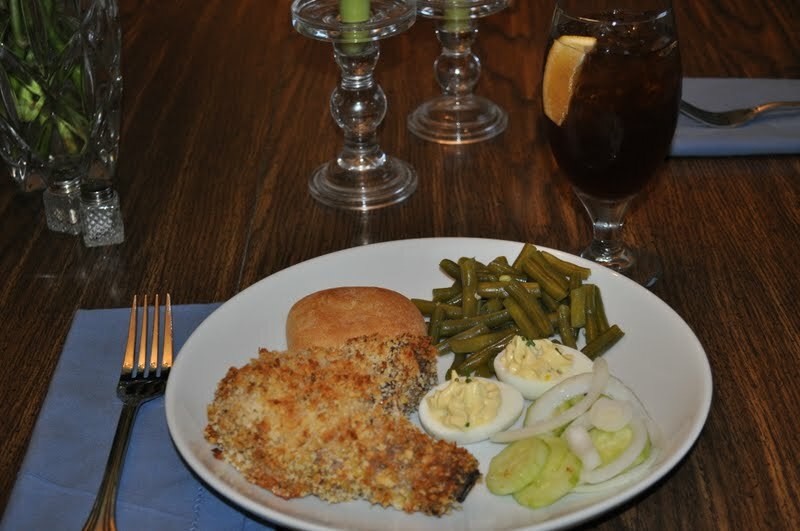 The result is fabulously crunchy “pickles” that make a summertime meal complete. Making changes in the way I eat is going to take a lot of patience. I didn’t put on all of this excess weight in one month, so I sure don’t expect to loose it all in that same time. So now, please share ….. How do you lighten up or keep a healthy balance if foods in your diet? I have a huge week coming up with a mission trip out of the country. Our team will be conducting a Vacation Bible School in Jamaica. I was able to make this life changing trip last summer, and look forward to all of the adventures that will be encountered.